Warm mittens for high altitude, expeditions in polar conditions and for mountaineering. 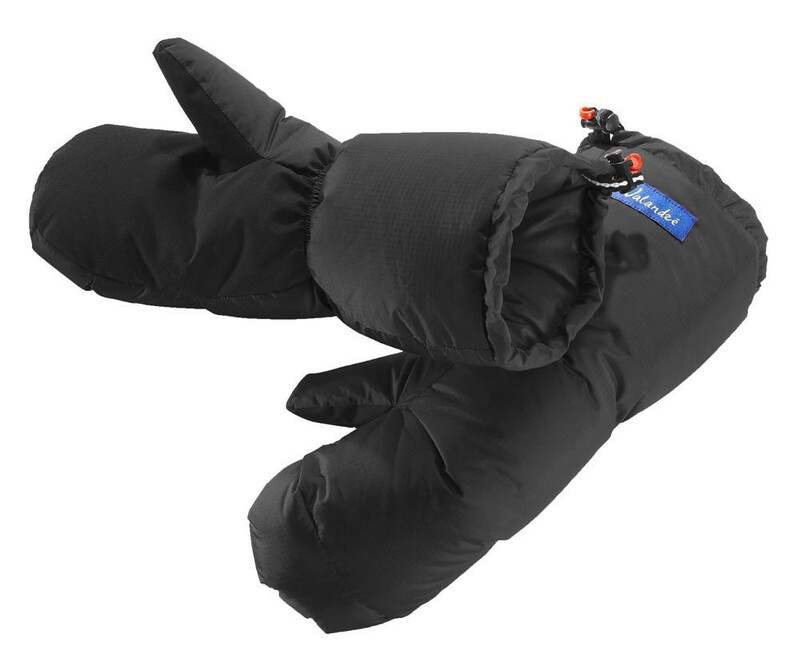 These comfy mittens keeps your hand warm. The excellent weight / thermal performance is guaranteed by the quality of gray goose down 800+ cuin (50 g for size M). 3 compartments and an elastic adjustment. Fabric reinforced at the palm. Oural protects you up to a temperature of -25 ° C. Outer fabric: Japanese water repellent treated. Compartments: 4 x 2 compartiments individuels. Down quality: goose down 95/5 Cuin 800+ (Norme EU).